100%Brouk was created by two sisters/designers from Israel, and they bring a sweet sensibility to some useful baby basics. 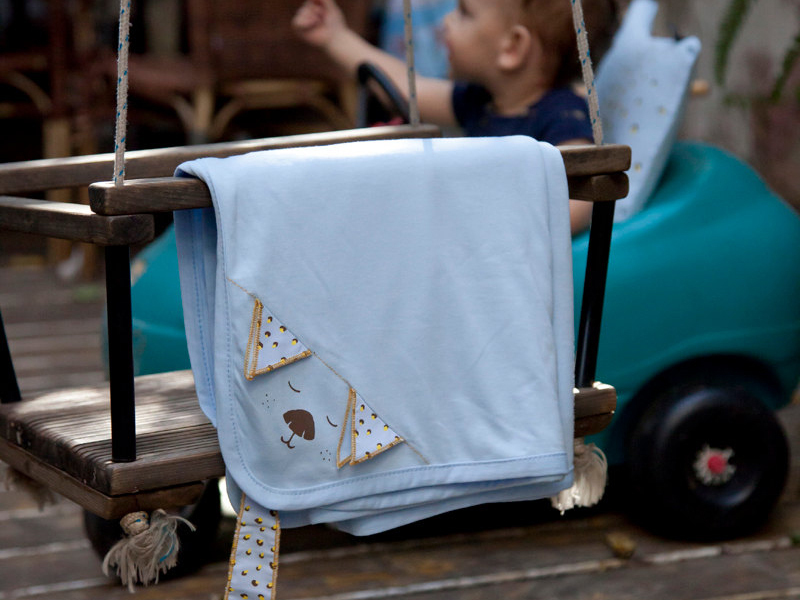 After gaining experience working at other brands, the sisters joined together to bring their vision of eco-friendly and playful children's textile design to life on a line of blankets, bibs, stroller liners, and other soft products that babies and toddlers will love cozying up to -- because they also double as lovies! The designers use cat and long-nosed hedgehog characters to add charm and amusement to their designs, and these characters are featured in products including a cushy spotted pillow that doubles as a transitional object, irresistible machine-washable lined blankets, and cat-shaped baby bibs that also serve as a lovey. All of the products, which range from baby stroller liners printed with bananas to baby pillows featuring a sleeping cat, are crafted from 100% organic cotton and manufactured in Israel. The Blankie stroller blanket is a great baby shower gift and comes with a pocket as well as two soft layers. It also doubles as a swaddle or even a travel mat for picnics. Using AZO-free, water-based dyes, the Brouk sisters are committed to making 100%Brouk as sustainable as possible, with easy to recycle (and recycled paper) packaging and allergen-free fabrics for sensitive little ones. Available on the Brouk Sisters’ Etsy site. The designers use cat and long-nosed hedgehog characters to add charm and amusement to their designs, and these characters are featured in products including a cushy spotted pillow that doubles as a transitional object, irresistible machine-washable lined blankets, and cat-shaped baby bibs that also serves as a lovey. 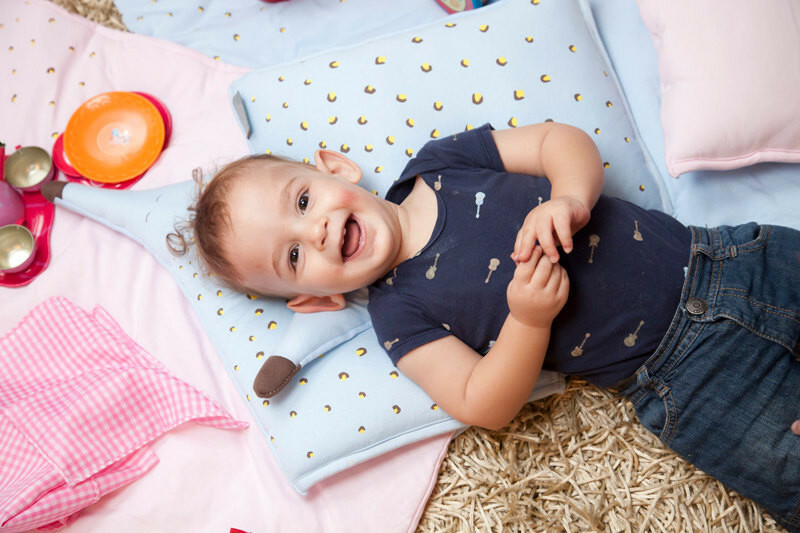 All of the products, which range from baby stroller liners printed with bananas to baby pillows featuring a sleeping cat, are crafted from 100% organic cotton and manufactured in Israel. The Blankie stroller blanket is a great baby shower gift and comes with a pocket as well as two soft layers. It also doubles as a swaddle or even a travel mat for picnics. Using AZO-free, water-based dyes, the Brouk sisters are committed to making 100%Brouk as sustainable as possible, with easy to recycle (and recycled paper) packaging and allergen-free fabrics for sensitive little ones. Available on the Brouk Sisters' etsy site.